Why should kids have all the fun? 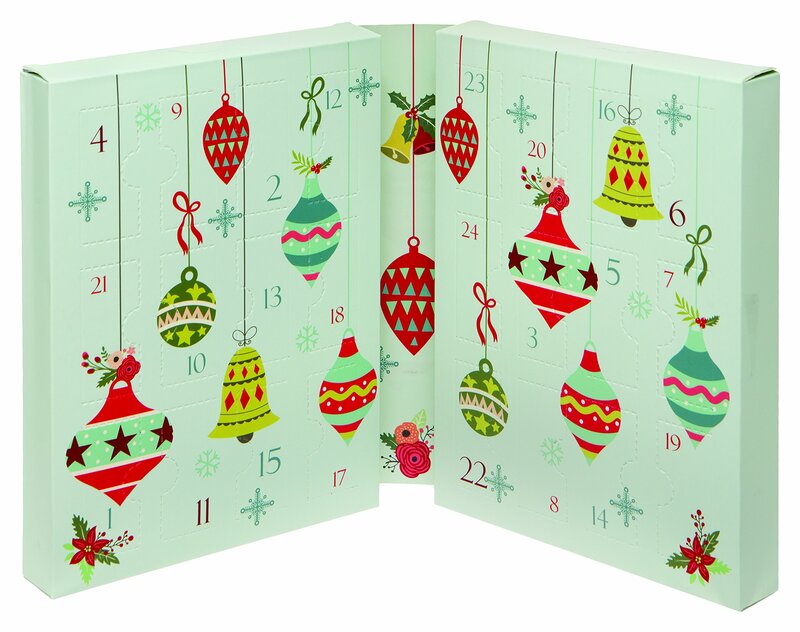 These days there are loads of great adult advent calendars to choose from, so everyone can enjoy counting down the days to Christmas. Looking for kids advent calendars including the highly sought after Haribo advent calendar? Click here. 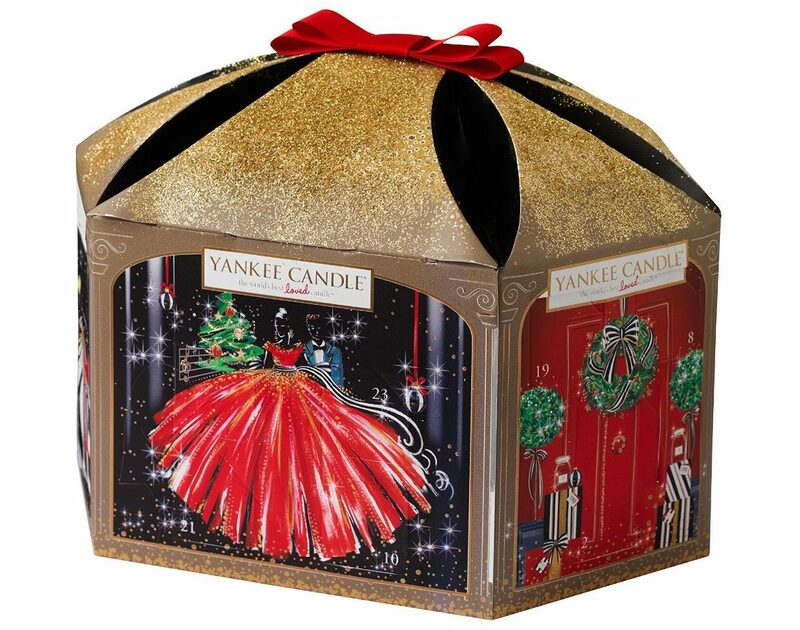 The Yankee Candle advent calendars are always very popular and sell out fast and no wonder – who doesn’t want to have their house smelling gorgeous at christmas time? This limited edition party pavilion gift set contains 20 tea light candles and 4 votive candles so you can light one each day all the way up until Xmas eve. Special seasonal scents include Christmas memories, winter glow, Christmas cookie, snowflake cookie, bundle up, all is bright, festive cocktail, macaron treats, star anise & orange. The Benefit advent calendars always sell out fast and they’re great value when you look at the total cost of the items inside. The theme for the calendar this year is Girl O’Clock Rock and the calendar even plays music! Benefit goodies inside include mini versions of POREfessional, They’re real! mascara, Benetint, posietint, it’s potent! eye cream, lollibalm, hoola, dandelion, BADgal lash, high beam and lollitint. 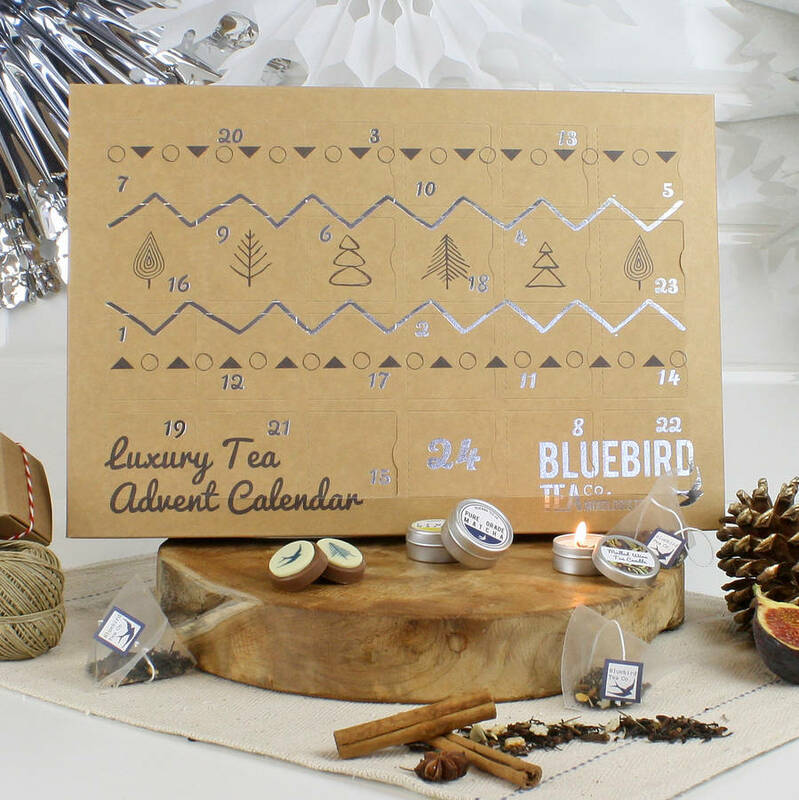 This gorgeous luxury tea advent calendar contains 24 gifts for tea lovers behind each door including luxury tea bags (flavours include Christmas cake, gingerbread chai, snowball, jelly & icecream and strawberry lemonade), mini matcha pots, candles with tea scents, chocolates and a pin badge. It’s the perfect gift for any tea lover. Get it from Not On The High Street. For me, After Eights are synonymous with Christmas! If you feel the same way, you’ll love this 3D advent calendar shaped like Big Ben and filled with After Eight Chocolates in different shapes. Now we’re talking! 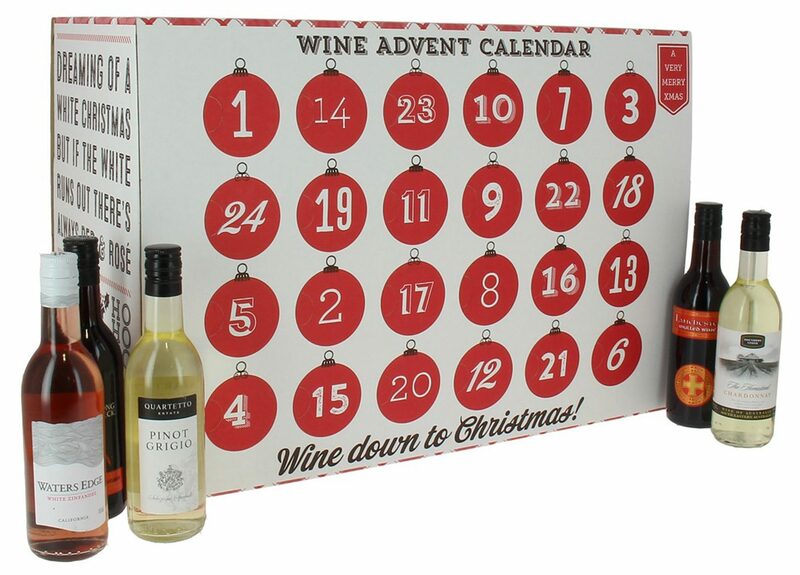 If you want to “wine down to Christmas”, you’ll be thrilled with this very adult advent calender that contains 24 mini bottles of wine, one for each day in the run-up to Christmas. A luxury beauty advent calendar with 25 treats for your skin every day until Christmas day. The contents include cleansing milk, moisturisers, serums, BB cream, shower gel and more to ensure you have the most beautiful skin by Christmas day! 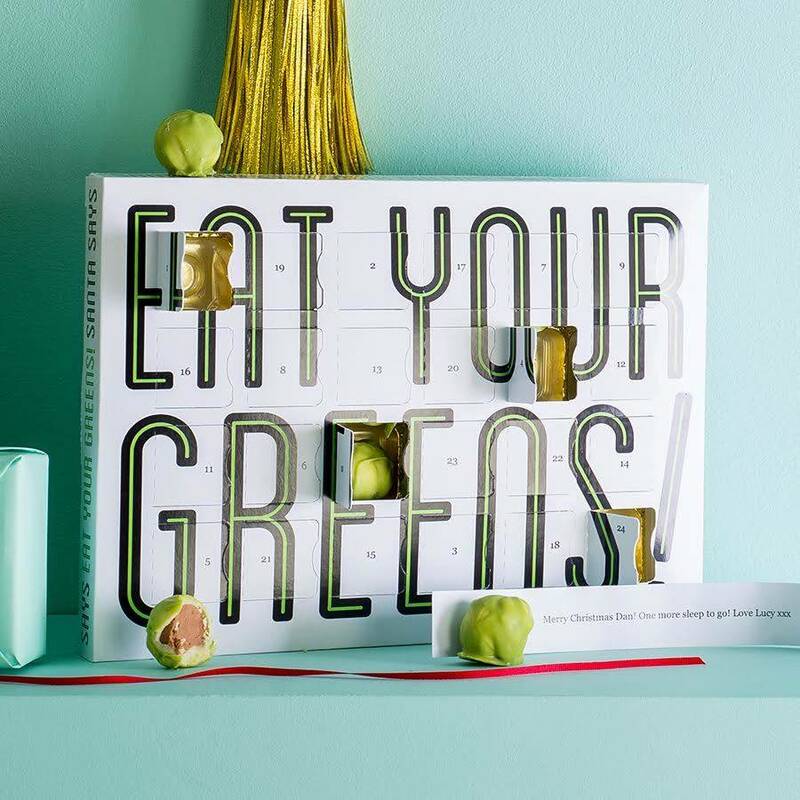 I did wonder for a while whether this would be better listed with the kids advent calendars but my kids would turn their noses up at green chocolate so they would be totally wasted on them! Each door contains a delicious handmade chocolate that looks remarkably like a brussel sprout! Available from Not On The High Street. 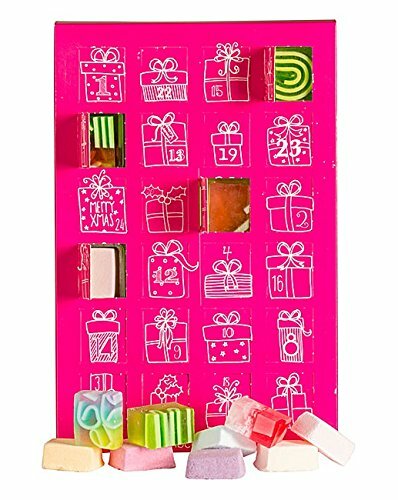 A modern fun and bright advent calendar from Mad Beauty, filled with 24 beauty treats including nail varnishes, eye shadows, blusher, applicators, nail file and nail stickers. 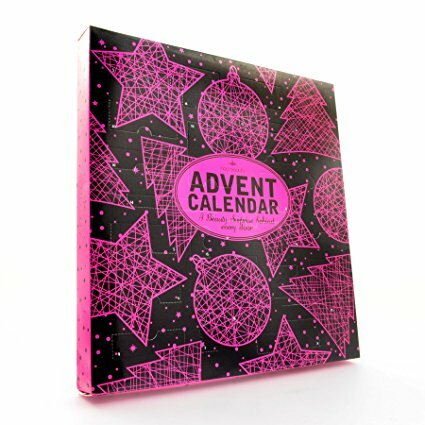 The Bomb Cosmetics advent calendar is one of the bestselling beauty advent calendars year after year. Each door contains a mini soap or bath bomb, fragranced with natural essential oils. 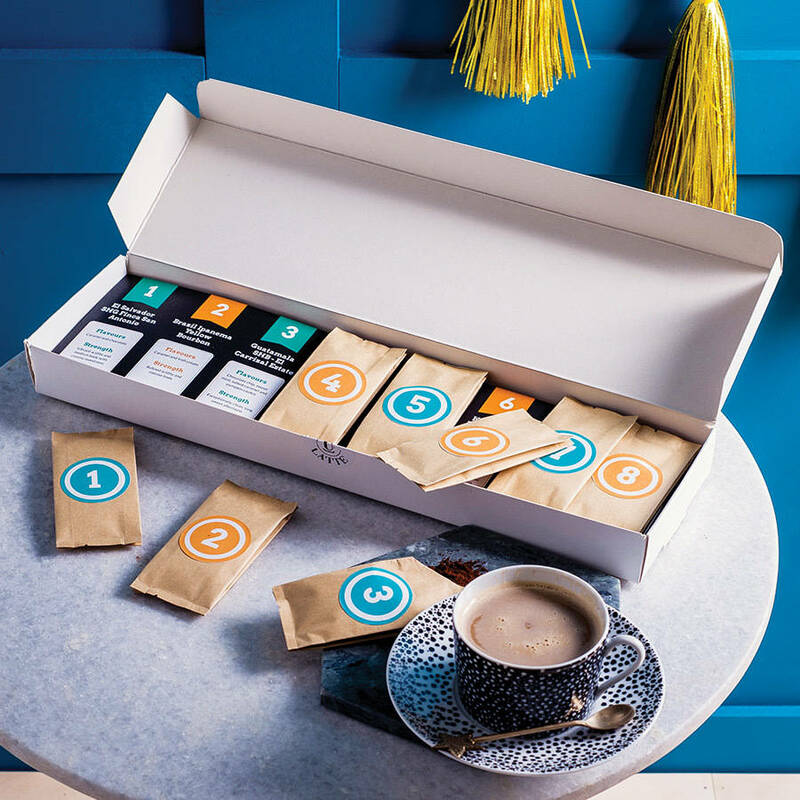 If you’re a coffee addict like me, you’ll be as thrilled at the idea of this coffee advent calendar as I am! 24 different artisan-roasted coffees to try every day up until Christmas day. Get it from Not On The Highstreet. 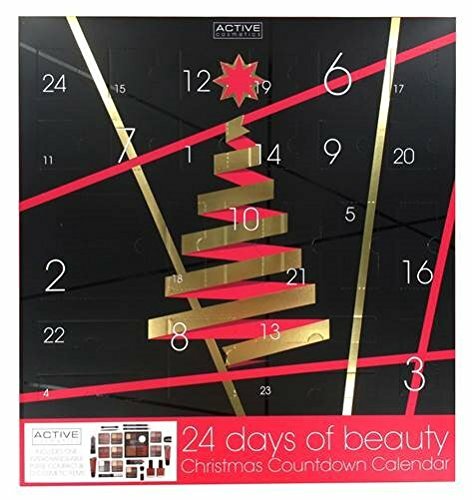 This limited edition beauty calendar from House of Fraser not only looks gorgeous but it also contains 24 ‘colour couture’ beauty treats including lipsticks, eye liner, glitter, nail varnish, mascara, nail stickers and brushes. 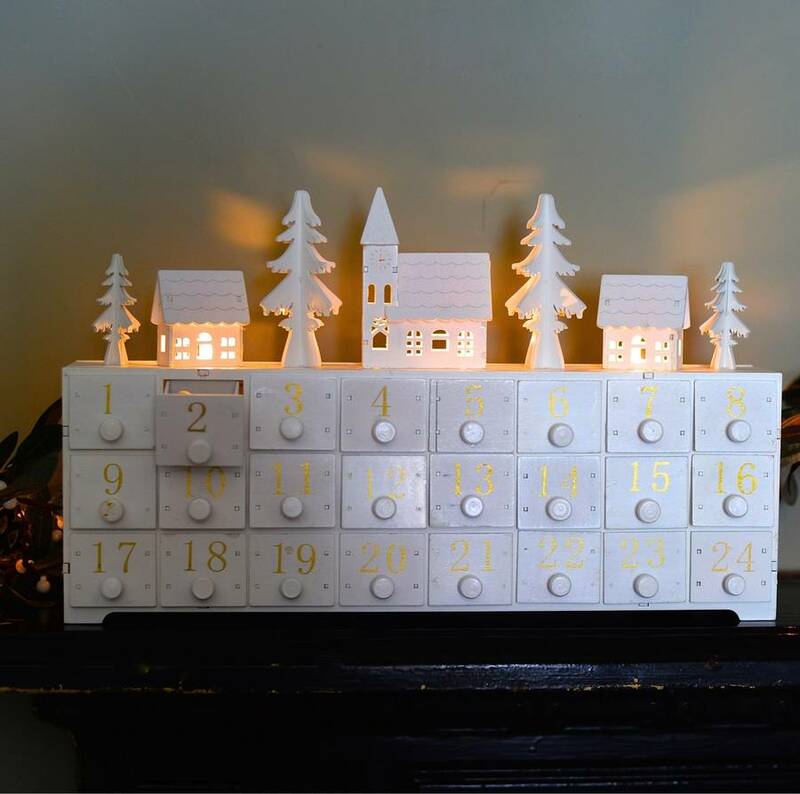 This beautiful advent calendar makes a wonderful gift for any gardener. It’s also great for those people who hate the long days of winter, with 24 packets of wildflower seeds to look forward to planting in the spring. 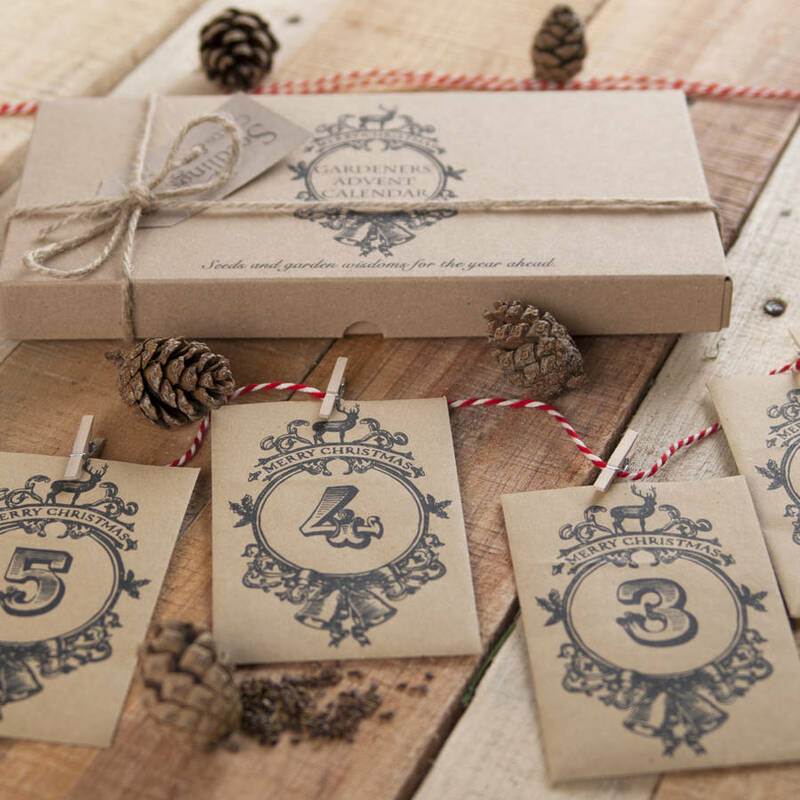 Set includes 24 printed envelopes, a length of red and white striped bakers twine and mini clothes pegs for hanging. Get it from Not On The High Street. Do you have a friend who loves painting their nails different colours? 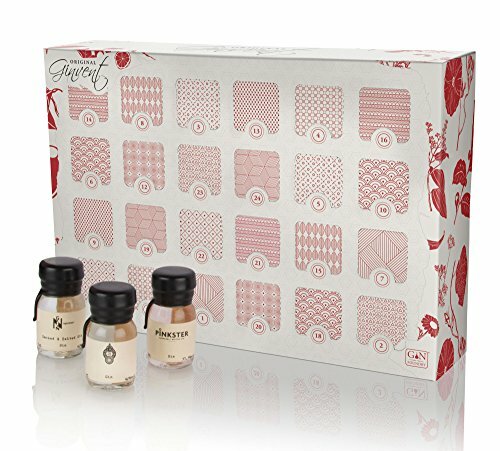 They’ll love this advent calendar containing 24 mini nail varnishes for each day of the advent period. Another lovely beauty calendar that makes a great gift or is perfect for giving yourself a little treat every day in December. A purse compact is included along with 23 cosmetic items including eyeshadows, lipsticks, eye pencils, nail polish and more. 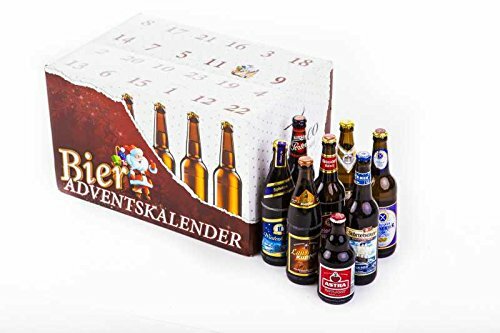 This is a new and cheaper beer advent calendar for 2016 that’s great value. Beers are from regional German breweries. This item ships from Germany so order now to ensure it arrives before the 1st of December! 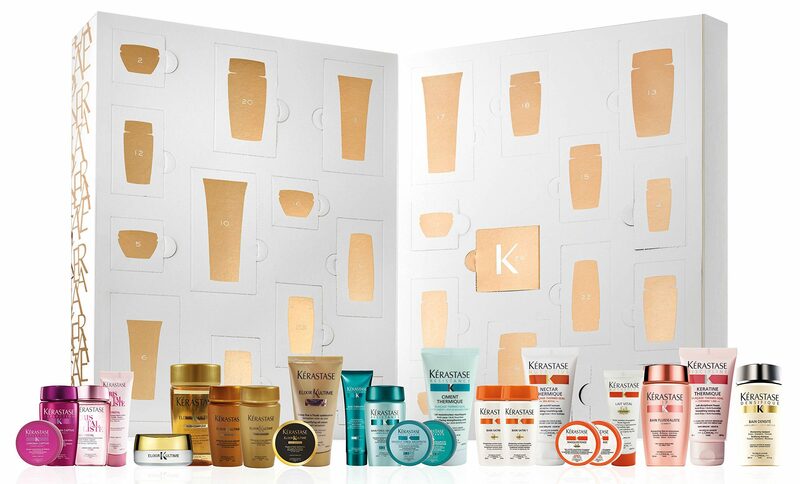 This luxury beauty advent calendar contains 24 Kerastase products including 1 full size, 1 travel size and 16 minis. An amazing early Christmas gift for that special someone in your life. Ok, this must take the prize for the most hipster advent calendar ever! Perfect for the bearded husband, boyfriend, father or son in your life, this calendar contains 24 different scents of luxury beard oil including black coffee, fresh cut grass, mahogany, rain forest, leather and walk in the woods. Drinks By The Dram make some fantastic advent calendars for adults and this one is ideal for Whiskey lovers. It contains 24 miniature bottles of Whiskeys from all over the world including single grains and rare single malts. The most expensive whiskey included costs £600 if you buy the full size bottle! This beautiful advent calendar contains a selection of vintage toiletries in individual numbered bags such as body scrub, body butter, body mist, bubble bath, hand cream, bath fizzer and more. Makes a lovely gift. 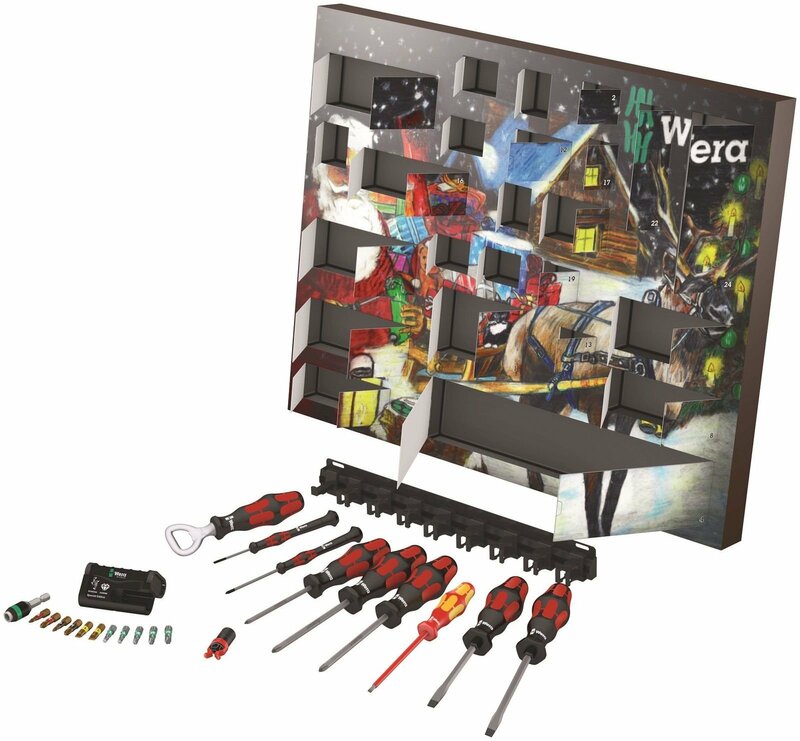 This is probably the weirdest advent calendar that I’ve featured this year and yet I know at least a few people who would really appreciate receiving it! 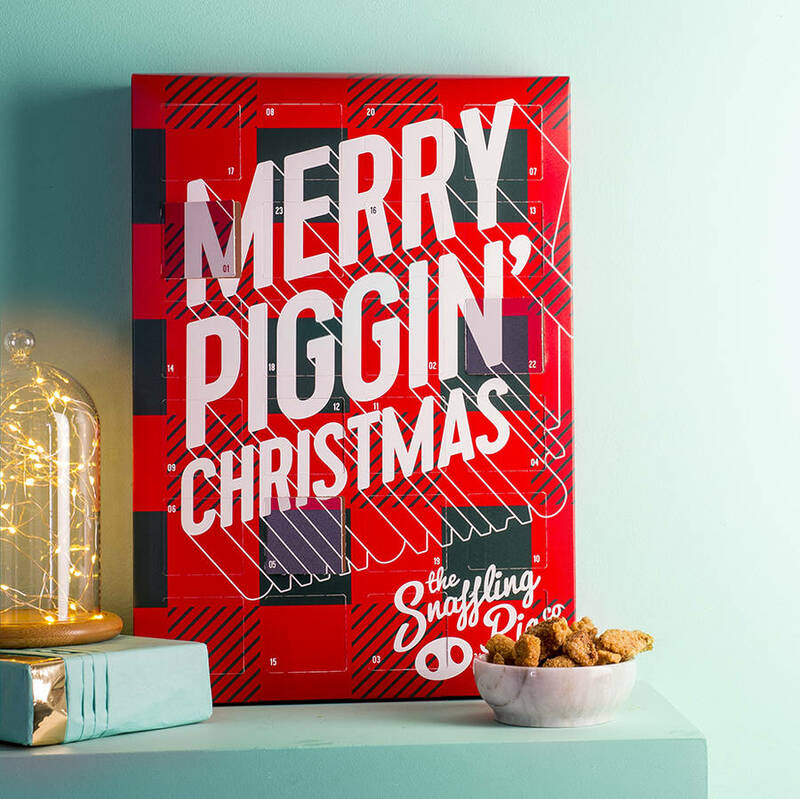 If you or a friend are into crispy pork snacks, you’ll definitely want to grab one of these giant A3 advent calendars with a packet of pork scratchings (in 6 different flavours) behind every door. Get it from Not On The High Street. 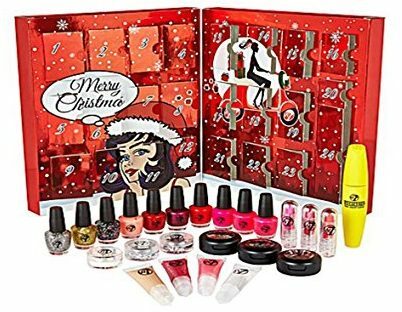 Warpaint cosmetics advent calendar including fun nail polishes, glitters, lip glosses, eye shadows, foundation and mascara. A great gift for teenagers and women who love makeup! This gorgeous wooden advent calendar would be perfect for either adults or kids and can really act as a centerpiece in your Christmas decorations as well as adding a little fun to each day. Available from Not On The High Street.